We wish you a Happy New Year 2068! Yes, that’s right- as we welcome the new year in 2018, our quality EPDM membranes remains committed to providing long lasting waterproofing solutions for the next 50 years. A sustainable waterproofing solution while the world above and below the roof is constantly changing! With this promise, you can be assured of our waterproofing solutions. And now you have a chance to win an “everlasting calendar”. It will last for over 50 years – just as our waterproofing solutions. Due to its longevity, EPDM roof sheeting is predestinated for sustainable construction, unlike any other material. Compared to pure bitumen products, which need to be replaced approximately three times during a building lifetime of 80 years, our EPDM membranes have a life expectancy of more than 50 years. (according to SKZ-Study). Therefore, EPDM customers who want to increase the energy efficiency of their buildings, are already saving plenty of energy during the production. Our products are free of heavy metals, halogens, and softeners and can be processed safely without the release of chemicals or other critical substances. 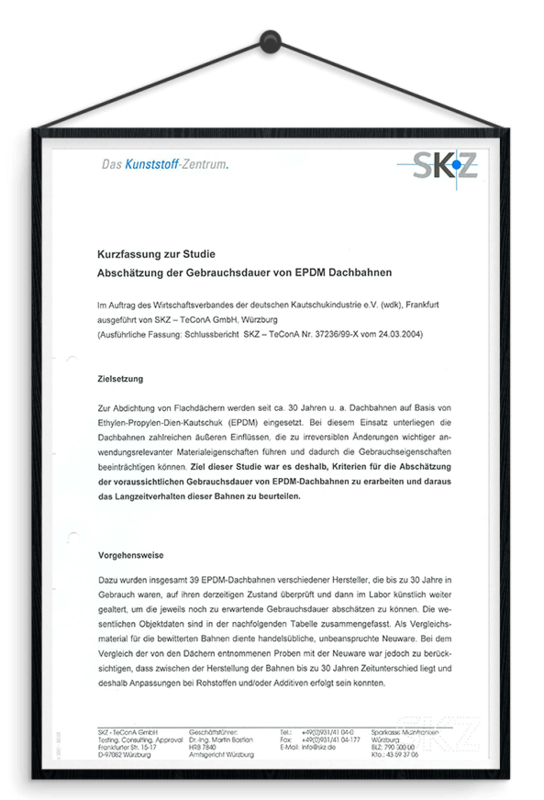 For more information on the SKZ study click here. WIN an ‘everlasting calendar’ – as long-lasting as our EPDM membranes! For a chance to win, answer the question below. 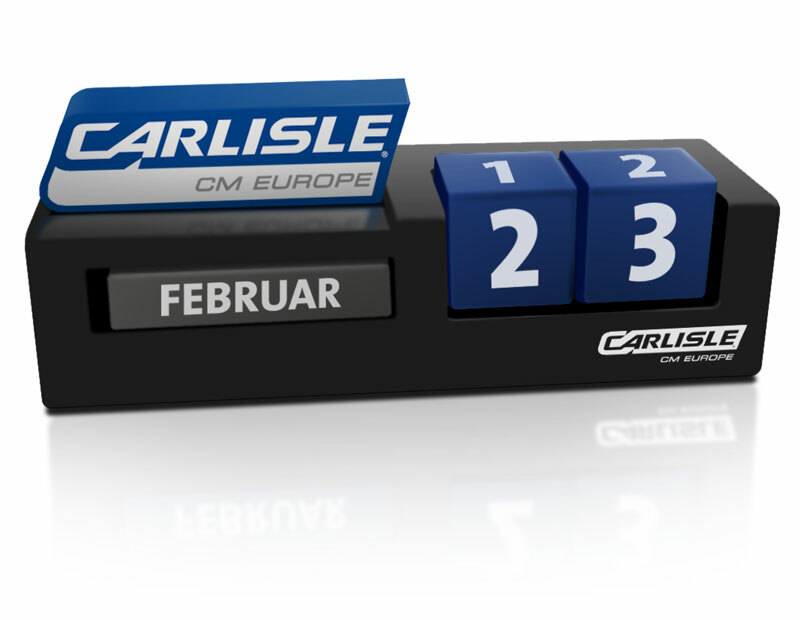 CARLISLE® CM Europe wishes you good luck! The prize competition is organized by CARLISLE® Construction Materials Ltd. (Ground Floor Office Suite, Lancaster House, Concorde Way, Millennium Business Park, Mansfield, Nottinghamshire NG19 7DW). 10 everlasting calendars will be drawn, with a total value of around £95. The participation takes place with the right answer to the question. The participation in the CARLISLE® competition is free. Every participant is permitted to participate only once. Eligible persons should be a UK resident and over 18 years of age. Colleagues of the company CARLISLE® Construction Materials Ltd. are not eligible. The participation deadline is on the 1st of February 2018 at 24:00. The winners will be chosen by a raffle and will be informed directly after the end of the prize competition. The prize will be sent by post. A cash payment, change or exchange of the prize is not possible. Personal data will be treated confidentially by CARLISLE® Construction Materials Ltd. The data of the winners will not be forwarded to third parties. CARLISLE® Construction Materials does not assume liability for technical malfunction. There is no right to appeal.